Can't decide between pasta and izakaya? 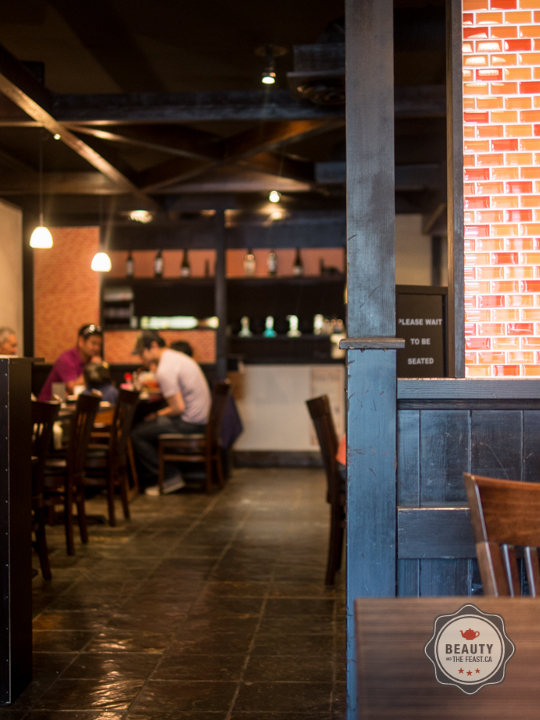 Try SPAGHeTEI, a restaurant serving Authentic Japanese Style Spaghetti on Robson Street. 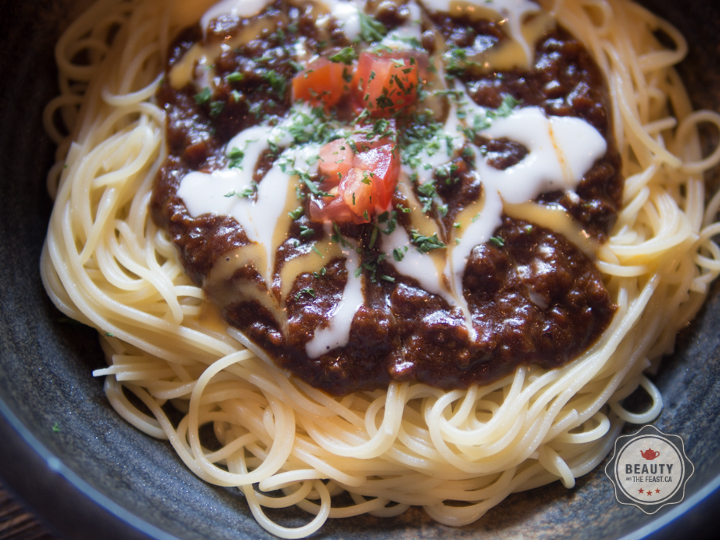 The concept is simple, a simple japanese approach to the spaghetti you've come to know and love. While I highly enjoyed their unconventional Clam and Scallop spaghetti with assorted mushrooms, and home-made ginger soy sauce topped with dried seaweed. I felt their signature double meat sauce was a boring and salty. Leave the bolognese to the Italians on this one. See their menu. Fun and not too expensive, and unknown to the masses. A fun experience for those willing to take a dance on the wild side of pasta.